Beauty at its finest. 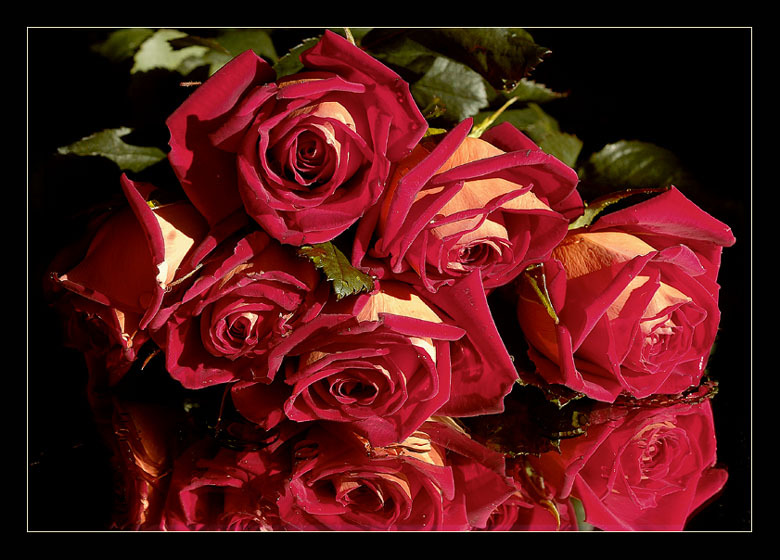 Wonderful roses with beautiful color and detail - excellent refletion! Great colour and flower details, beautiful light and presentation! Another excellent and lovely work!!!! !